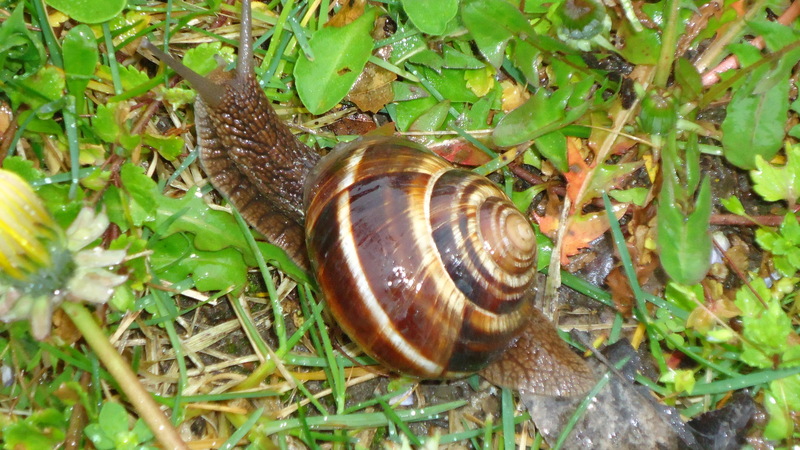 The sorrows I’m talking about are snails – from the Big Daddy with mottled brown shells to the smaller more delicate brown yellow and cream ones. Over winter they gather in gangs in my plant pots and down the bed-edgings discussing tactics and waiting for spring and a humid evening before launching their assaults. They’re here! It’s happening now. When I moved here the house walls were covered with Virginia Creeper and Wisteria. I had to strip it back to make repairs to the stonework and in doing so evicted hundreds of the beggars. 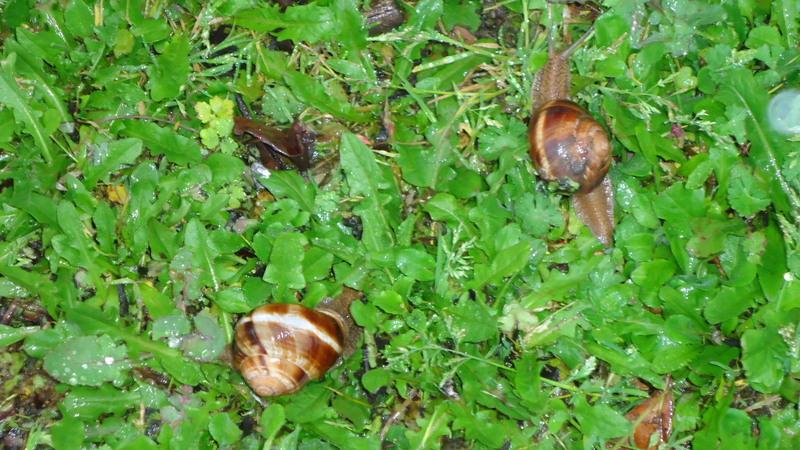 Last summer was the summer of the snails’ revenge. They tiptoed among the tulips; gobbled the hostas; crunched the clematis and invaded the veggie boxes razing lettuce, spinach, peas and beans. They breached the defences. 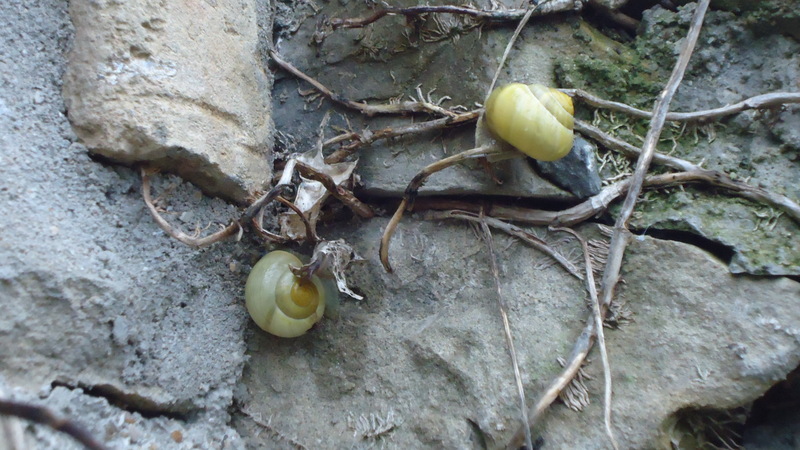 Gravel, grit, eggshells – bring’em on, no problem; sticky tape – we eat it; mass eviction to the fields beyond – ha we’re homing snails; copper wire – shock? What shock? This year the Gardener Fights Back. But how? I can’t bring myself to deliberately stamp on them but if I accidentally squish one I confess I get a hypocritical shiver of satisfaction when I hear the juicy crunch. I have Mr (or possibly Mrs) Toad by my side. He lives in a disused drain and comes out to sit on the stone bench where I take my nightcap (drink that is, not headwear). We have had long meaningful conversations about strategy – granted he doesn’t say much apart from ‘ribbit ribbit’ – however I have installed a number of small water features intended to facilitate the expansion of the Toad family. Similarly the hedgehog that slept all winter under a pile of leaves has joined in the battle enticed by a promise that I will create a more des. res. for her…perhaps a little more insulation…for next winter. Then there are the birds. I don’t recognise some of them that frequent this French garden but we are entering into negotiations which exclude the use of the gut-busting pellets and include a daily donation of juicy morsels. Eating them? Out of the question. I know I live in the land of snail eaters but have you ever tried eating them? They are truly tasteless, rubbery and without question one of the most unappetising comestibles ever. Can I win this battle? I doubt it but possibly I may be able to agree a compromise and cease-fire. However any tips and hints that exclude the use of noxious chemicals and pesticides to add to my armoury would be more than welcome. This week it is exactly two years since my goods and chattels turned up in a whopping great van at my new French front door. The heavens opened, great spattering rain – welcome to the Languedoc. Lace curtains in the houses opposite danced the Twitch, faces peered out cautiously at this short, stout alien disturbing the peace of Petite Rue. I had burnt all boats and bridges in England to buy a house, with big bro Mike, and move to France. The idea which came from nowhere – I mean I wasn’t looking to move across the Channel – was for me to live here permanently and my brother would take on the apartment on the first floor. It was to be one last great adventure. As I attempted to marshall order out of the chaos of furniture and boxes that were disgorged from the van I tried to quell fears about whether I had done The Right Thing. How would I cope? Would my schoolgirl French stand up to scrutiny? Would I feel isolated, would I fit in, would I, would I? The thoughts buzzed around like a swarm of angry hornets. We had spent just a week looking at properties and The Old Lady of Petite Rue got our vote. It is a village house in the middle of a row of others. 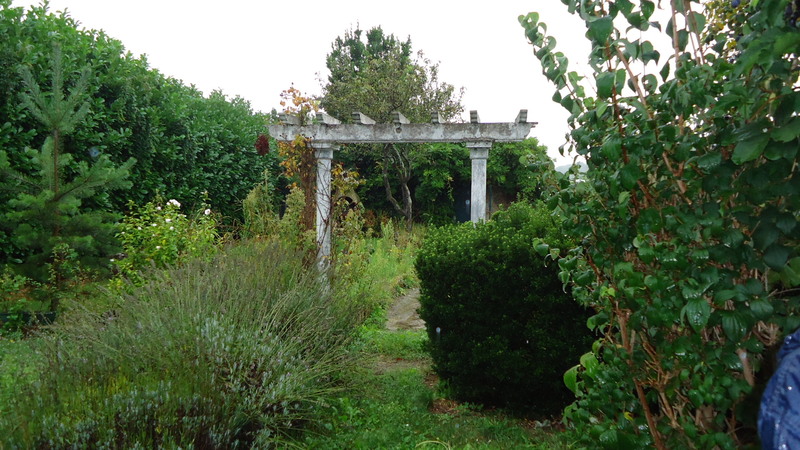 There’s a barn at the back, a walled garden and about a quarter acre of land beyond. The house had received the twin curses of basic neglect and “modernisation”. 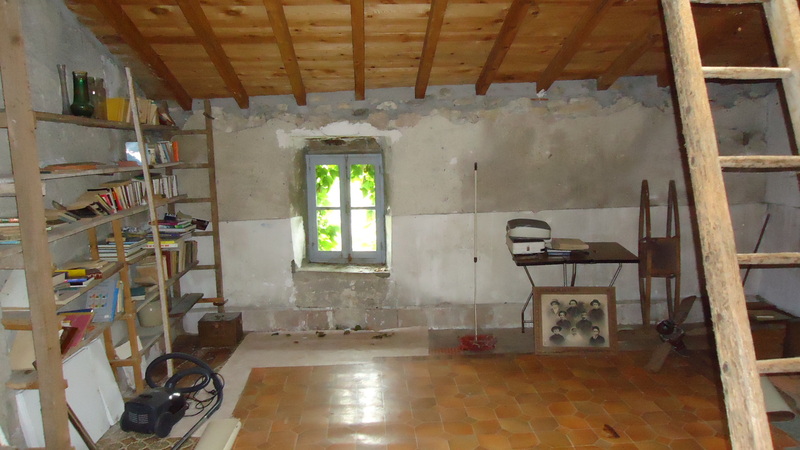 I’ve come to the conclusion that many French do not like old property and do all they can to eliminate or cover up its origins with cladding, Upvc, plaster board and the dreaded crepi (sort of decorative plaster). It was a case of ‘out with the new and in with the old’ as we tracked down old windows, shutters, doors, door handles and so on. I have learned a whole new vocabulary relating to building, electrical, plumbing and roofing along with more colourful tradesmen’s terms, appropriate for moments such as when opening up an electric socket and a whole wriggle of burnt out wires, which had no business being there in the first place, spew out like demented worms. As I have got to know my neighbours I have also learned to tread carefully through the tight-knit family circles that make up the community. Some folk have lived here for generations and spats will break out from time to time which resonate through the village. Last Armistice day at the little ceremony held in the village square, the divorce of a village couple had split families and friends. A ceremony intended to celebrate peace was blanketed by silences, back-turning and gorgonesque glances. It is hard to know at first who is related to whom so the fear of putting foot in mouth is always at the back of my mind. Like many rural villages its currency is gossip and the old stone benches that have survived modernisation and sit outside some of the houses – gossip seats – provide the means to pass on the latest ‘on-dit’. “She said what? Incroyable! Oh ma foi”. After two years I still feel I’m a bit in limbo land, wedged between England and its culture and my adopted country. I miss my UK friends but now there is a civilised spare room, I expect visits and I have my french and other expat friends. We expats are known collectively – Les Anglais, Les Irelandais and so on. This last summer I almost graduated to becoming an individual again – Shayla or Madame Weelliams – so I must be making progress. Group conversations still baffle me a bit – they go so fast, ‘du coq a l’ane’ (from the cockerel to the donkey). often I’m still framing a response to the cockerel whilst the conversation has whizzed on to the donkey. But I arrive in the end. I am writing a lot more regularly now; the house is still work in progress; I scour the vide-greniers (boot sales) for goodies for the house and the garden is beginning to take shape. I have centuries of history on my doorstep waiting for me to discover and breath-taking (literally) landscape to explore. So this last great adventure – based on a totally unplanned, spur of the moment decision – is proving to be one of the best I’ve ever had. I hope I’m not tempting fate. 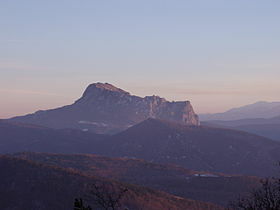 This week I thought I would introduce you to the Magic Mountain or the Pic de Bugarach which is close to Rennes-le-Chateau . The mountain is a bit of a geological freak in that its upper layers are considerably older than the lower ones owing to some upheaval of the Pyrenees way, way back in time. This gives the mountain its other name – the Upside-down mountain. The rock is limestone and a network of underground caverns and a river have occupied the hearts and minds of numerous believers in hidden worlds and magic going-ons for several centuries. Most recently is the belief that the mountain provides a vast underground parking lot for alien spacecraft. According to the Mayan Apocalypse prophecy our world as we know it was to end in December 2012. That I missed the event is entirely due to my own lack of responsibility. However, those in the know (and more responsible), knew that some nice aliens would be on hand to airlift anyone on the mountain to safety. Between January and July 2011, the farming village of Bugarach (pop.200)received an influx of over twenty thousand visitors anxious to stake their place in the queue. Reports of strange rituals and men creeping around in white dresses emerged and the village made headlines in worldwide media.There was talk of a mass suicide and eventually after a government inquiry, the police blocked off access to the mountain. I don’t know if there is still a queue of hopeful emigrés waiting to hitch a ride. Go back a bit further in time and we arrive at the story of Daniel Betex, a Swiss and a respectable security guard by day and explorer/truth seeker in his spare time. He was interested in the Medieval Cathar sect and fossicked about on the mountain, digging in to its secrets. He found a blocked entrance – possibly the gateway to the centre of the earth. He opened up the entrance and found the underground river with some sort of “mandmade” quay and other stone structures. But who lived and worked there? Betex then started to explore the basement of the ruined Chateau de Bugarach which, along with the village has Cathar associations, (those pesky Cathars – they get everywhere!) However, in the bowels of the chateau Betex found stones with carvings showing a container on a stretcher. Let’s not jump to conclusions but…does the Arc of the Covenant come to mind? No? Well not for me either. Yet it did attract the attention of Israeli general, Moshe Dayan and the Mossad (Israel secret service). In 1988, Betex became really, really excited and wrote to a colleague about a fabulous deposit. Of what? A pile of fossilsed Woolly Mammoth poo? Who knows? He wrote to a colleague that he only needed four or five more days and then “you will be fabulously rich”. Alas, three days later the poor man was dead and his fabulous deposit died with him. Naturally there are questions about his death and different causes attributed. An interesting side point is that the French authorities concreted over the basement of the chateau where Betex had found the stones and refused to give permission for his work to be continued. All I will say is that in my experience the French are not particularly health and safety conscious. The mountain is shrouded in mysteries as well as mist. It is said to give off a strange energy which I, being an insensitive soul, cannot say I noticed. Yet planes are not allowed to fly over it since it makes their instruments go haywire but being practical as well as insensitive I wonder if magnetism might not be the culprit rather than a bunch of aliens protecting their parking lot. Down the centuries, stories and legends have accumulated. There are some said to have secret knowledge about the secrets of the mountains but being secret, no-one actually knows of what this secret knowledge comprises. That’s the problem with secrets isn’t it? Perhaps it will prove an inspiration for one of the stories in my next book but I can’t say because it’s a secret. I’ve been delving into mysteries, myths and legends this week in search of new material for a second book of spooky stories. 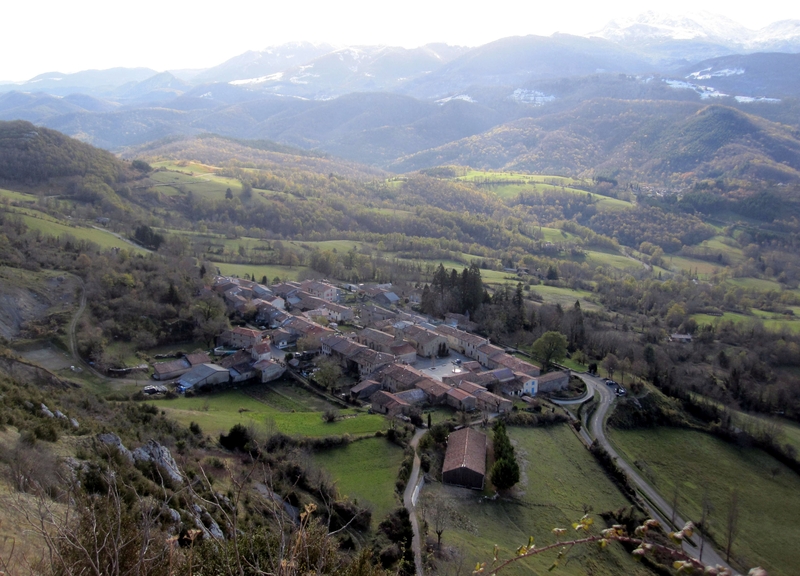 It appears I’m surrounded by them (mystery, myths et al, that is) and they all centre on one tiny village atop a 1500ft hill not many miles from here in the Languedoc – the village of Rennes-le-Chateau. You would think that nothing much ever happened in this ancient hilltop village hidden in the clouds from the valley below but you would be mistaken. Treasure – Secret Geometry – Coded Documents – The Merovingians – Knights Templar – Cathars – The Ark of the Covenant and the Menorah – maybe even the secret of my lost waistline – they all find a place in the history of the village depending on your own favourite theory. 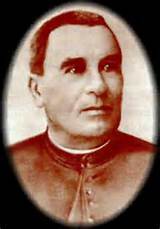 Perhaps the most well-know of these mysteries concerns Berenger Sauniere the priest of the village who, in a strange turn of fate soared from rags to riches almost overnight at the end of the 19th and beginning of the 20th centuries. 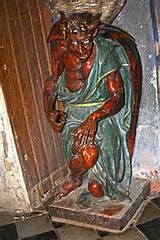 He bought land, built himself an estate including the Tour Magdala which he used as a library and the Villa Bethania, restored the church and filled it with ecclesiastic artifacts, stained-glass windows and the perplexing “benetier” (water basin) held up by a remarkable devil. 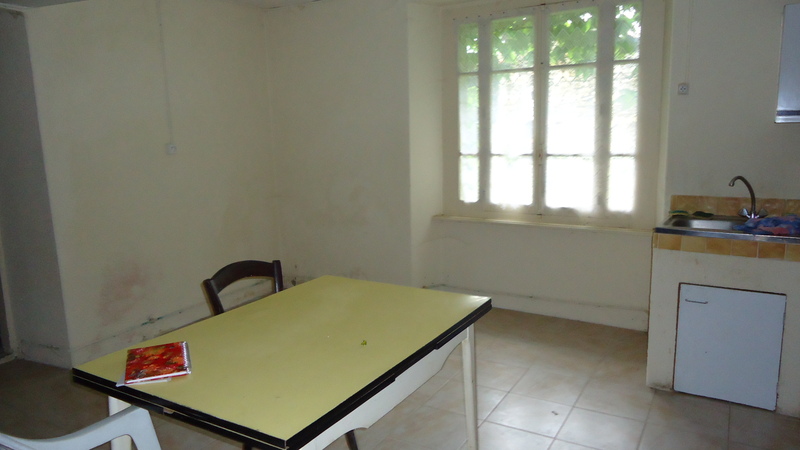 All these works were carried out in the name of his housekeeper Marie Denarnaud. When called to account for his increased wealth and other actions, he havered somewhat claiming the money came from donations. He was charged with simony (taking money for masses that were never given) and suspended from duty. Nevertheless he continued to live in Rennes as a free-lance priest. The village council complained about other un-priestly activities such as, along with his housekeeper, digging up graves at dead of night. It is claimed that he found coded documents which, when decoded, showed X marking the spot of a lot of lovely loot and this was the source of his wealth. After his death, his housekeeper sold the estate to a wily hotelier, Noel Corbu, promising him that when she was about to breathe her last she would reveal a secret to him that would make him both rich and powerful. Alas the workings of fate. A few weeks before her death Marie had a stroke or seizure leaving her bereft of both voice and the ability to put pen to paper. The secret died with her. The hotelier, nothing daunted – well perhaps just a little – used the story of hidden treasure in a remarkable PR coup. His new restaurant – the renovated Villa Bethania – was in need of customers so he used the story to draw in the punters – even going so far as to record the tale (with suitable dramatic embellishments) for his new customers to hear. He took the line that the hidden treasure was that belonging to Blanche of Castille – the Spanish wife of Louis VIII. From these beginnings the Treasure story snowballed bringing treasure hunters from all over the world to the little hilltop village. Whose treasure? Theories abound. 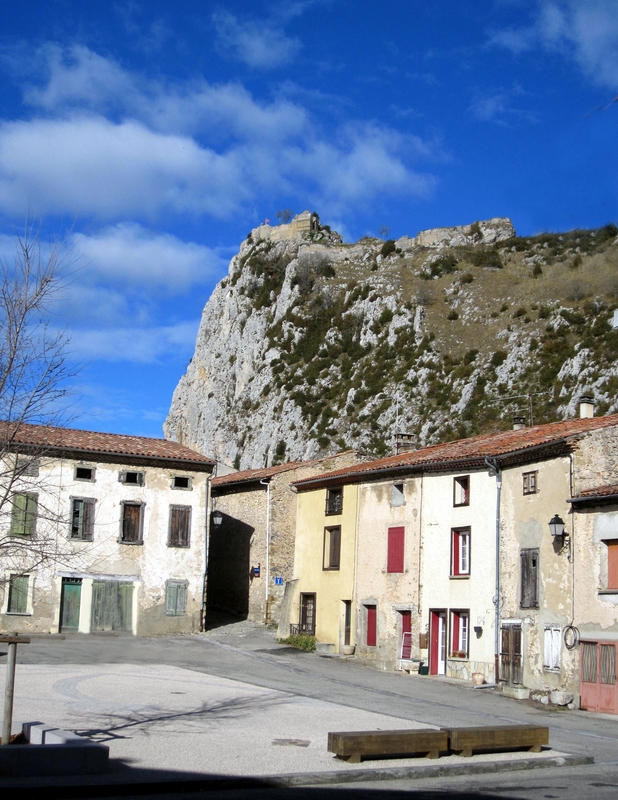 Was it the Visigoths loot (Rennes-le-Chateau was the centre of the Visigoth kingdom);how about Cathar treasure smuggled here after the fall of the last Cathar bastion Montsegur; could it be the booty of the Knights Templar brought to the village before they were all killed off? Who knows? However what I do know is that local history provides rich pickings for a writer whether presented as fact or fiction. Since Sauniere’s time a catalogue of popular books have fallen from the presses, fact and fiction, culminating in Dan Brown’s best seller “The Da Vinci Code” with around 80 million copies sold. Oh why, oh why didn’t I get there first? The country side around where I live is dotted with ruined castles built on and within natural high outcrops of rock and escarpment. This is Cathar country and these strongholds played an important role in protecting and sheltering the members of the persecuted sect. In the 13th century the north of what we know today as France went to war with the south in a crusade against this sect – a crusade that lasted for nearly half a century. The ostensible reason for the crusade was the extermination of the Cathar sect which had a strong following in the south at every level of society. When Pope Innocent III’s personal legate, Peter of Castelnau was murdered (allegedly on the orders of Count Raymond of Toulouse whom he had just excommunicated) he launched the crusade offering all who participated indulgences (pardons for sins committed) as well as the property and lands of the heretics. This set the scene for the invasion of this southern part of France (the Languedoc) with Simon de Montfort, a northern noble leading the charge for wealth, land and titles. The crusade was typified by small-scale skirmishes, bloody guerrilla warfare and, more significantly, sieges against both the large fortifications of e.g.Carcassonne and Narbonne but also of the remote and relatively inaccessible hilltop fortifications that were dotted all over the surrounding countryside. One such is the Chateau at Roquefixade just a few kilometres from where I live. Built high up on a cliff overlooking the village and using the natural rock and fissures of the site, the chateau dates from the early 11th century. The current ruins are later than this. The ascent to the castle is steep and winds around through tussocky grass, scrub and rocky outcrops. Nearing the summit and the castle itself there is just a narrow path roughly hewn from the rock. A hair-raising vertical drop on one side to the valley below waits for the unwary. Once negotiated, this path leads to the remains of the original stone gate tower and on into the lower court (yard) of the castle. The view from the ruins is breath-taking. The valley of Lesponne with its small villages nestled in green fields stretches out below; beyond the valley, the D’Olmes mountains and the chain of the High Pyrannees poke their snow-dusted peaks into a clear blue sky. This chateau and its village played but a small role during the crusade. 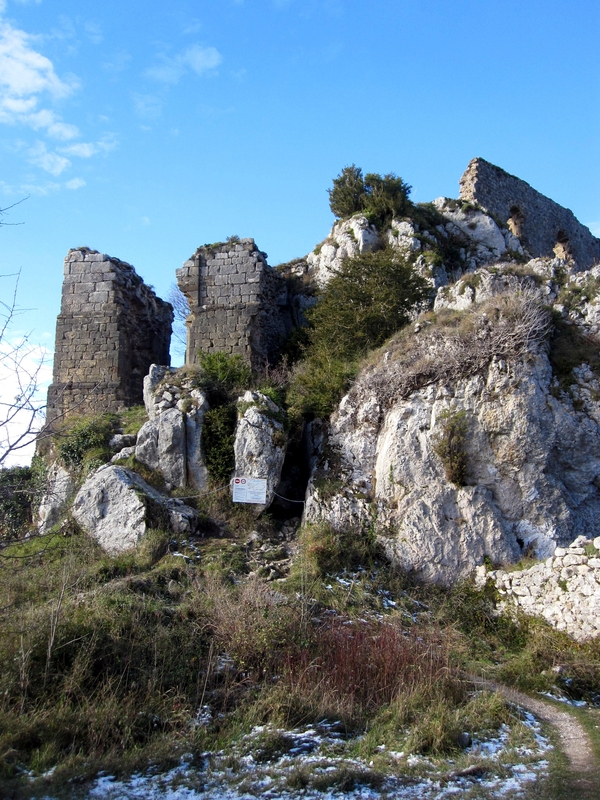 It is known that one of those involved in the murder of the papel legate sheltered here with his family and the village is reputed to have had many who followed the Cathar teachings. 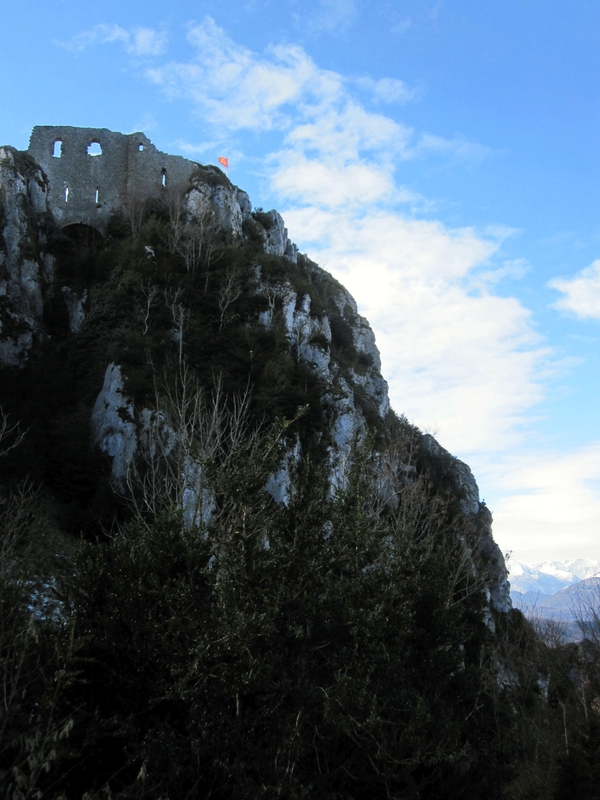 Other than this and, in comparison with its neighbour – Montsegur castle perched on an even more inaccessible peak- Roquefixade had a relatively quiet time. Following the fall of Monsegur and the end of the crusade, Roquefixade became the property of the French king and one of a chain of castles across the region to keep an eye on the activities of the count of Foix, the ruler of an independent county in the south (France was still not completely unified at this time). The castle survived until Louis XIII, in 1632 spent a night there on his way to watch an execution in Toulouse, after which he ordered the castle’s destruction. It does seem rather ungrateful of him. I have woefully neglected this blog over the past four-five weeks as I’ve flitted around like a demented bat drumming up business for “Close to the Edge – Tales from the Holderness Coast.” Thank you to all (or even any) of you that have bought the book, I hope you were well satisfied. So now I’m going to return to life in France for a while and will try not to mention my book “Close to the Edge” more than once or twice per blog! Here in the Languedoc, autumn has arrived and almost overnight the trees on the valley sides took on all the colours in the spice box – ginger, cinnamon, saffron, paprika; just here and there a solitary bank of trees remains obstinately green. The days are short but filled with sunshine and the nights and early mornings bring just a nip in the air… a hint of winter to come. Autumn has its rituals and festivals just as Summer had the fetes, vide-greniers and marchés nocturnes (night markets). First comes the mushroom season. 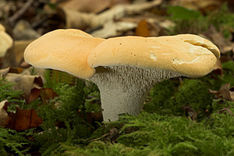 Everywhere in the woods amongst the earthy mould, between tree roots or in a patch of soft grass in a clearing, ceps, chanterelles, pieds de mouton- all these little autumn wonders pop up, all perky, waiting to be picked by those who know where to look and who jealously guard the secrets of their favourite hunting-grounds. If the mushrooms are too coy to make an appearance there are always chestnuts to be found and some of the last fetes of the year celebrate the arrival of the fat shiny nuts by offering a host of ready to eat dishes accompanied by the obligatory oom-pah band. Late September and October sees the Transhumance when the livestock are brought down from the mountain pastures… another reason for an autumn festival. The farmers, their wives and children together with an assortment of misbegotten dogs gather their flocks of sheep or small herds of cattle and slowly wend their way down the mountain to the “home” village. The ewes with their lambs hustle and bustle along, high with their odour of lanolin. Here and there they grab a bite of roadside herbage or stop, snort and stamp their feet when one of the dogs gets a bit impertinent. In the village the ewes are separated from their lambs, which are taken away to fulfil their destiny on a dinner plate and soon the air is full of cries, bleats, shouts and barks until the cavalcade passes through and away to their respective farms. Now as the year slows down so does village life. Shutters close early and open late;the scent of wood smoke streams from chimneys that have slept all summer. In the streets, piles of crinkle-bark logs spattered with the grey-green bloom of lichen appear outside front doors and families and neighbours form a line to pass the logs through the house to the courtyards at the back. Oak is the wood of preference – burning long and hot – yielding all the energy it gathered during its years. For me it’s time to get back to some serious writing and catch up on the books and films I’ve stashed away ready to be relished (I hope) once the sun goes down and the shutters close.